Opening this series of guest appearances is ontheroad, a long-standing and certainly the most frequent contributer to the comments section on the site, who pays tribute to an almost forgotten Mayo footballing hero. Peter Canavan aka “Peter the Great,” won his well earned All-Ireland medal at 32 years of age in 2003. It was the breakthrough for Tyrone, a first senior title ever. For good measure he added a second winner’s medal in 2005 to round off a great career after years of toil and heartbreak. Canavan won two League medals also. The title “Peter the Great” seemed apt and nobody could begrudge the stalwart his success. In Mayo we watched enviously as Peter and his county mopped up the accolades. Indeed Mayo was the one county that had the ability to make Peter and the Red Hand men sweat. However before “Peter the Great” ever kicked a ball there was another Peter. Islandeady native Peter Solan also won two Senior All-Ireland medals, a National League medal, Railway Cup, Sigerson and Hogan Cup winner’s medals, along with a four in a row Connacht senior haul. Whilst Peter Canavan was 32 when his All-Ireland Celtic Cross arrived, Peter Solan had the above clutch of medals in the bag at 21. By the time he was 25 he added another Connacht title and National League memento for good measure. He then slipped off the radar until he pulled on the jersey for the last time in the championship defeat to Leitrim in 1959. Typical Peter, as a sub, he signed off with 1-1 and left the field clear for Joe Corcoran and Mick Ruane, as the next generation sought to make their mark. Peter Solan was still only 29 years old. Peter Canavan at 29 was still three years from the ultimate. Peter Solan’s medals probably needed polishing at that stage. Solan was a scoring machine within a forward line that also fired rockets. Between 1948 and 1951 Mayo played 17 Championship matches. 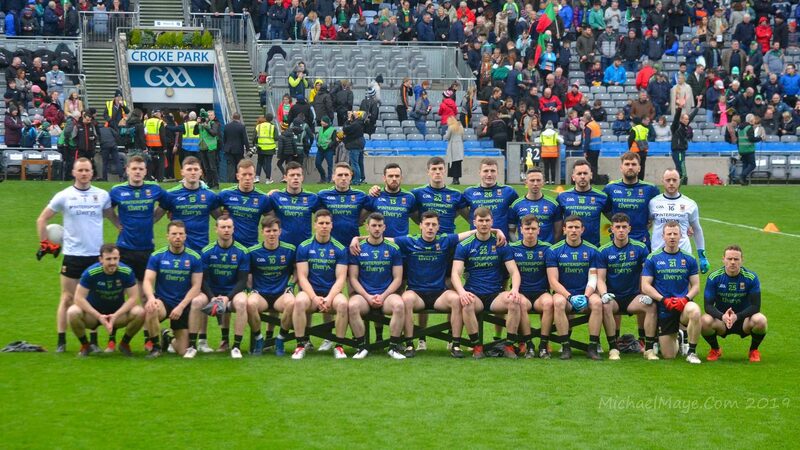 Unbeaten in Connacht they also met and prevailed against Kerry three times on that run. Solan played in 16 of those games, missing the final of 1951 through injury. He scored a breathtaking 19-12 on that run, his goal tally outnumbering the points. The Connacht final of 1951 saw him blast Galway for 3-1. A few years earlier he rattled Leitrim with a 5-2 salvo. The interesting fact was that he wasn’t only forward Mayo had. Tom Langan, Joe Gilvarry, Sean Mulderrig, Jimmy Curran, Mick Flanagan and Bill Kenny were also scoring with ease. Add in Padraig Carney who scored 0-9 from midfield against Galway in the 1948 Connacht final replay. Carney had the ability to kick 50s as if he was tapping a 14 yard free over the bar. The ability to consistently nail a 45 is absent from the present crop of Mayo marksmen. God was generous to Mayo then. To replace Bill Kenny, Jimmy Curran and Sean Mulderrig we got John Nallen, Seamie O’Donnell and Dan O’Neill. 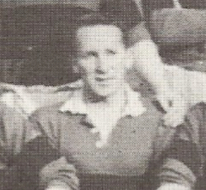 All three won a National league and Connacht title with Mayo in 1954 and 1955. With Solan on board we should have been unstoppable. O Neill announced his arrival with a 2-2 salvo in the League. By 1957 all three were gone. Dan O’Neill and Seamie O’Donnell were All-Ireland winners alright, but with Louth. Nallen played for Galway in a final versus Cork a year later. Mayo had torn the bottom out of their ship. We are still trying to mend that damage. When talent like that is squandered the gods get angry. We were becalmed in the province from 1955 to 1967. We added one more in 1969 and sat back until 1981. Solan and his cohorts must have been aghast. Peter Canavan is called “Peter the Great”. Nobody begrudges him the sobriquet. Belatedly we might recall and give thanks for another Peter from a different generation; our own “Peter the Greatest”, one of Mayo’s finest. Great read, love this type of stuff. Our history as a gaelic football county is a proud one but anytime i read on eras like the fifties and thirties too, i can’t help feel ” jesus we should of won more sams” . Good man ontheroad, great stuff. A good bit before my time, so always good to broaden my knowledge of our footballing history. One of many greats to play for Islandeady, such as Henry Kenny (RIP), James Sweeney (RIP) and Martin Carney. A fitting tribute.